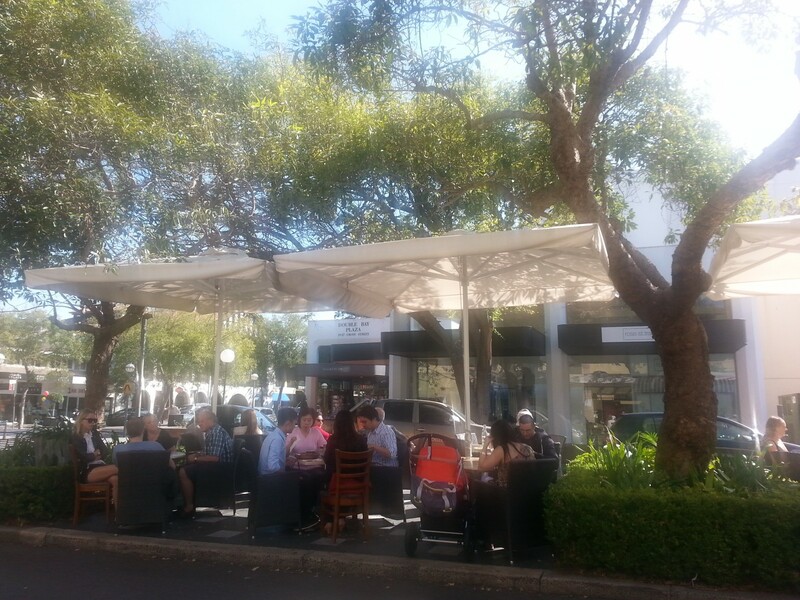 Looking for a lunch spot to refuel during a shopping spree in Double Bay’s boutiques? Or craving an energising breakfast or brunch after a big night out? Consider Bar Indigo – you’re almost guaranteed to walk away with your stomach satisfied. And, not only are the portions generous, but the menu is vast and geared towards health conscious Eastern Suburbs locals (who love a good egg white omelette or quinoa salad). My first visit to Bar Indigo was based on a friend’s recommendation. She lives around the corner and said it’s so good we’d likely have to wait for a table. Luckily for us the crowds were quieter than usual, it being Easter, and we got seated inside almost immediately. I must admit I did have slight table envy looking at the sun drenched alfresco area outside. There you can sit and watch the glamour of Double Bay pass by. Next time maybe. Bar Indigo is owned by two friends – Anthony Moustacas and Christian Verges. The menu is described as ‘modern Australian with a European twist’. But the first word I said to my friend when I opened the menu was ‘all round temptation’ – everything sounds so good you’ll decide what to have on your second visit during your first. Or you’ll place your order and then see a waitress skim by with a platter of delights and be tempted to change your mind. The all day menu has 4 sections – the bakery, the farm, the garden and Indigo breakfast favourites. I love that they feature Hanks Jam on the bakery menu, use free range eggs ‘delivered from the farm daily’ on the farm menu, and hero ingredients like beetroot, watercress and truss tomatoes on the garden menu. And, if you’re a superfood devotee you’ll be excited by ingredients such as quinoa, poached salmon, egg whites and linseed. Although I’m not sure about the ‘drunken raisins’. I assume they’ll be the next big thing……. On to our feast. 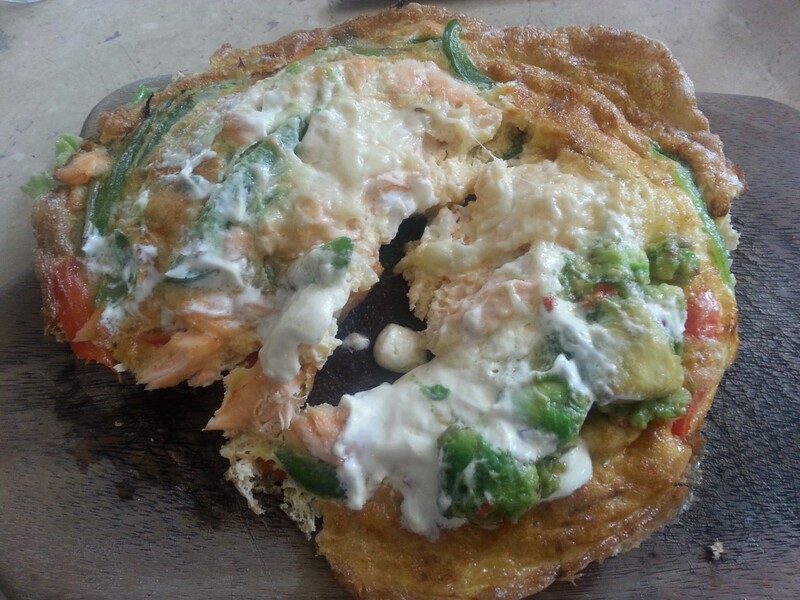 I chose the Indigo south west omelette with poached salmon, bell peppers, spring onion, avocado salsa, sour cream & American cheddar (‘from the farm’). 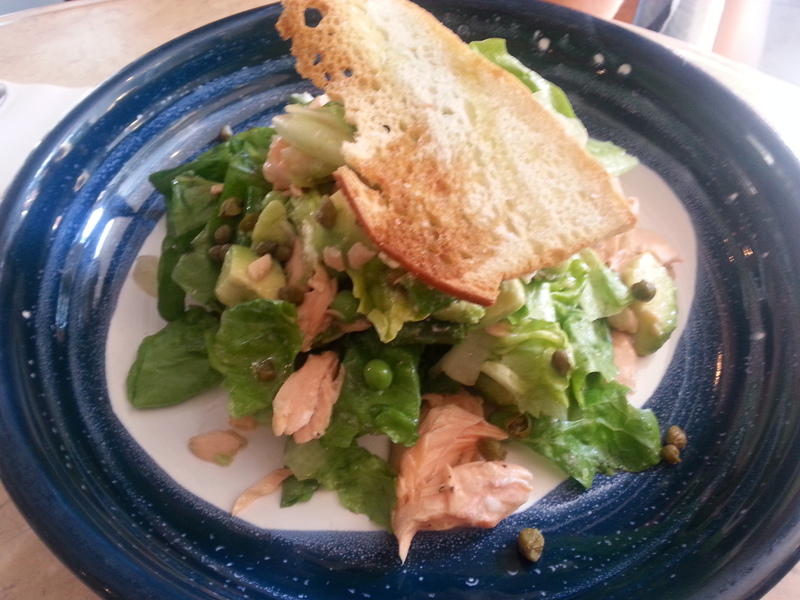 My friend chose the Poached salmon salad with summer peas, asparagus, avocado, baby cos, goats cheese & house dressing. Let’s just say that between us there wasn’t a mouthful of food left. The sign of a good feast. I’d describe Bar Indigo as quietly confident and experienced. There’s nothing too fancy or 2014 about the interior. It’s not trying to win over Sydney’s ‘try a new spot every weekend’ crowd. Instead it feels like a homely spot for locals and regulars who appreciate the fresh, high quality ingredients and consistently good service. Bar indigo offers breakfast catering (minimum 10 people) – priced at $13.90 – $16.90 per person. Dairy free fans are looked after – you’re welcome to order coffee with almond milk (for a small surcharge). 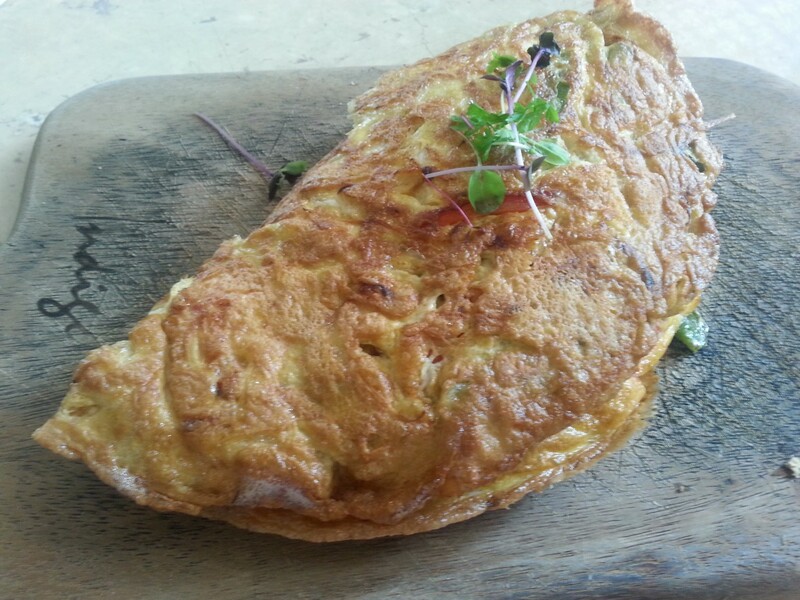 Tags: Bar Indigo, breakfast, brunch, Double Bay, lunch, menu, restaurant, review. Bookmark the permalink. I want to try these Poached salmon salad with summer peas, asparagus, avocado, baby cos, goats cheese & house dressing. Thanks also for the tips, I will note that.. See yopu after my tour in Brisbane.